There was a great post-Fed rally today in big cap stocks. For the most part small caps did not participate. 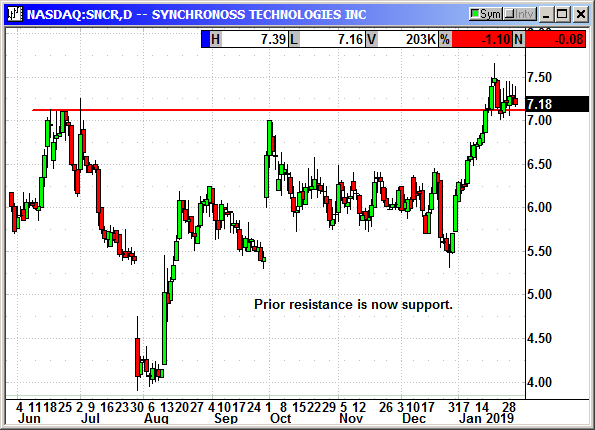 The Russell gained 1% but the average small cap stock gained only a few cents. 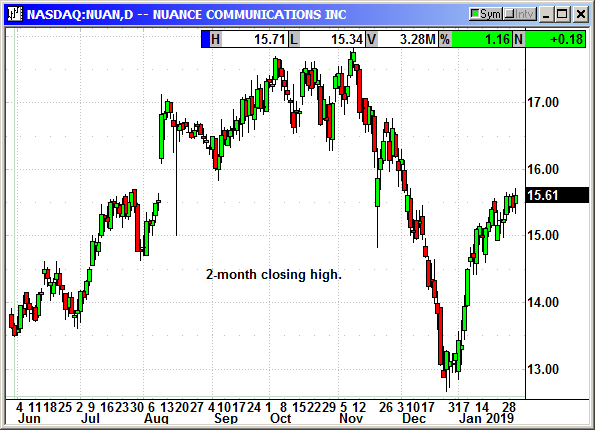 The small cap sector was conspicuously short of big winners. 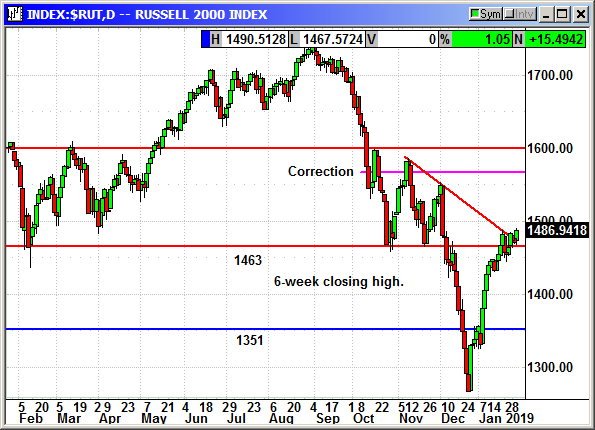 However, the Russell did close at a 6-week high and is starting to move away from prior resistance. No specific news. 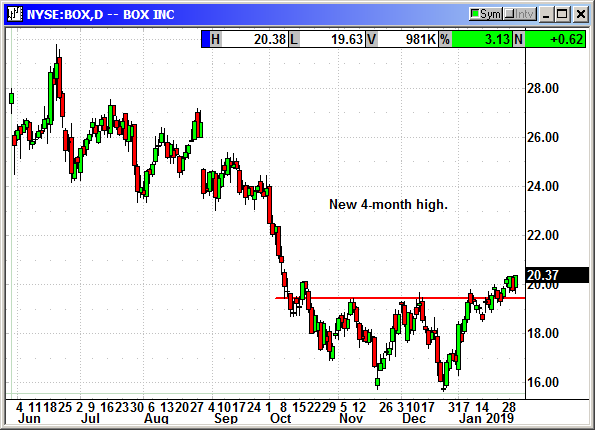 3% rally to a 4-month high. 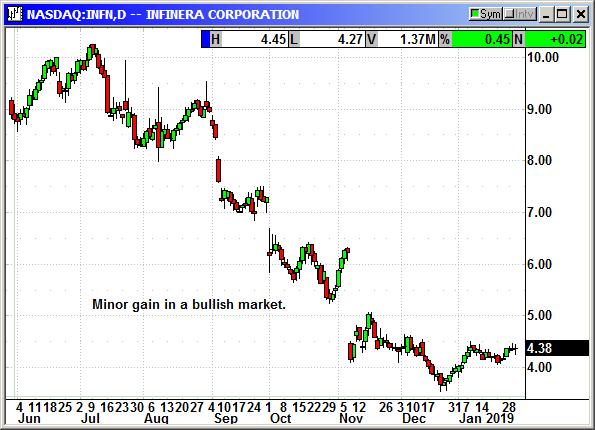 Only a minor gain in a bullish market but small caps were not participating. Meditech announced they were joining forces with Nuance to deliver AI-powered virtual assistants to the healthcare community. No specific news. 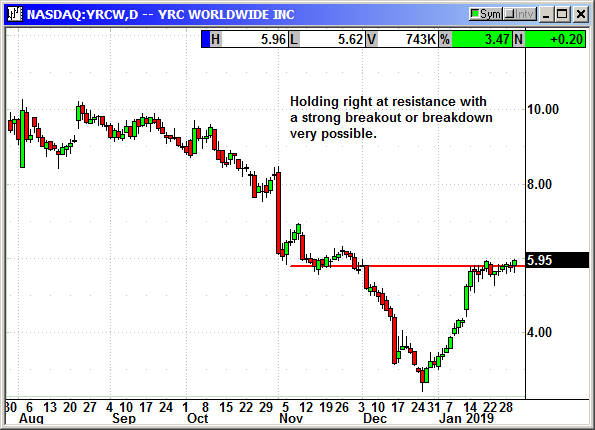 Minor gain over resistance on Tuesday and held the breakout today. No specific news. Earnings ahead. 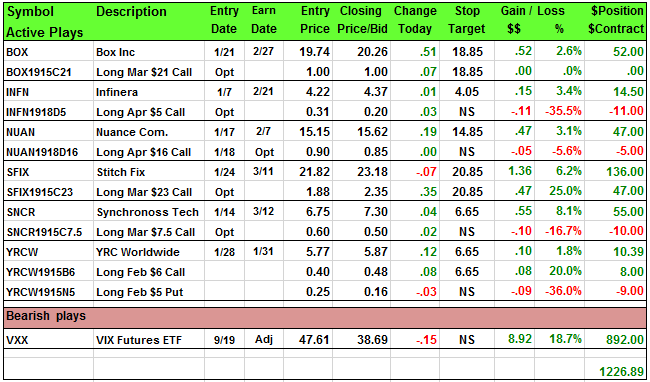 Long Feb $6 call @ 40 cents, no stop loss. 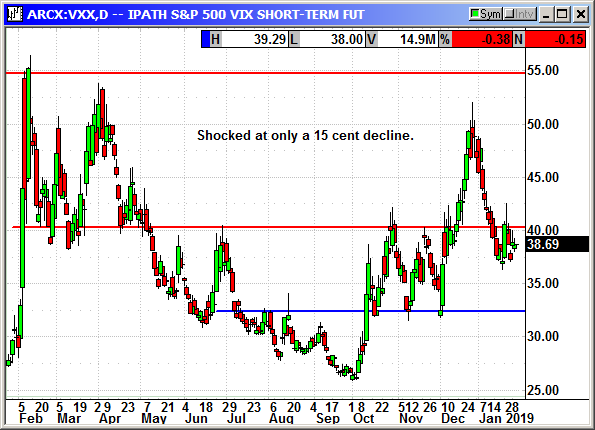 I was shocked to see only a 15-cent decline in the VXX. 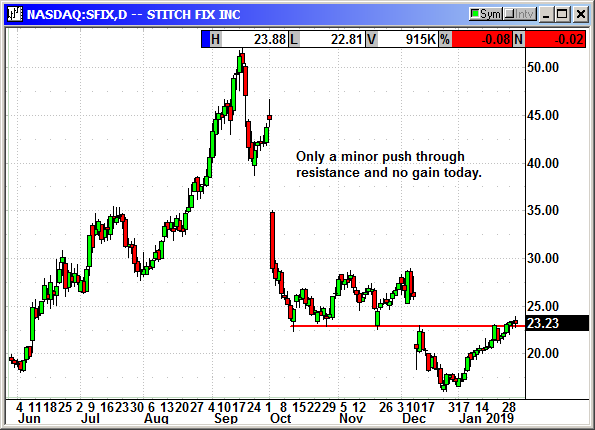 Apparently, investors were worried the rally will not stick or a shooting war will breakout at the Chinese trade talks.